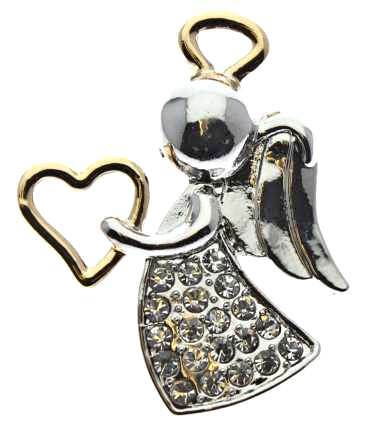 Appreciation angel pin holding gold heart silver plated, gold accent, rhinestones. Carrying Love for Valentine . 1 1/4 inch tall. Carded. Carrying love to you or someone. 20 Small rhinestones suitable for men or woman. New design by Sterling Gifts. Better than the picture I got it for my mom and she's gonna love it!